My IDA-71is a conversion to an active, pure-O2 CCR. It's great for natural observation, and easy to dive; it's good for first experiences with rebreather, if you respect the rules. I removed one scrubber and the Russian bottles + first stage regulators. I added a 0,8l- bottle with air for BC and some breathes bailout... but bailout should not be necessary for 7 m. For dry diving I can change this bottle against a 2l- version. 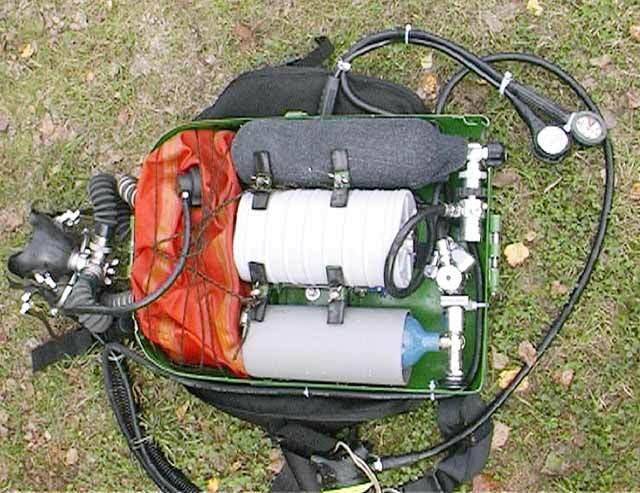 The oxygen bottle carries 2 liters, its more than enough for two dives, and I can fill it from a storage tank with less then 200 bar - its also enough. 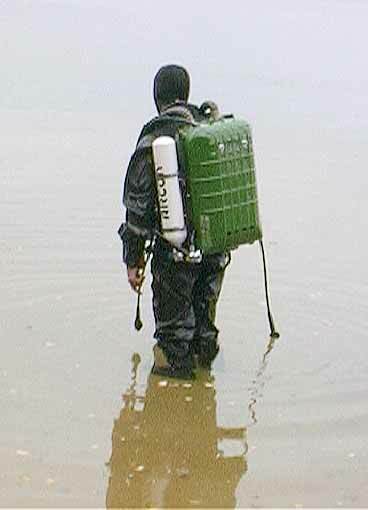 The BC is a wing bladder "seaway com", the harness is self-made. For O2-Mode I use a scubapro full-face-mask, but I have also an adaptor for mouthpiece or the original Russian mask with clear glass. The use of FFM compensates also the mismatch, that the IDA has no water traps. For ppo2 monitoring I use a Draeger Oxygauge with high ppo2 Alarm at 1,6 bar. The dive time is approximately 3h, limited in first line by the scrubber. But I can mount the second scrubber canister... :-). I use "spherasorb" as scrubber material. External bottles or accumulators can be fixed with a side-mounted metal-sub- adaptor. 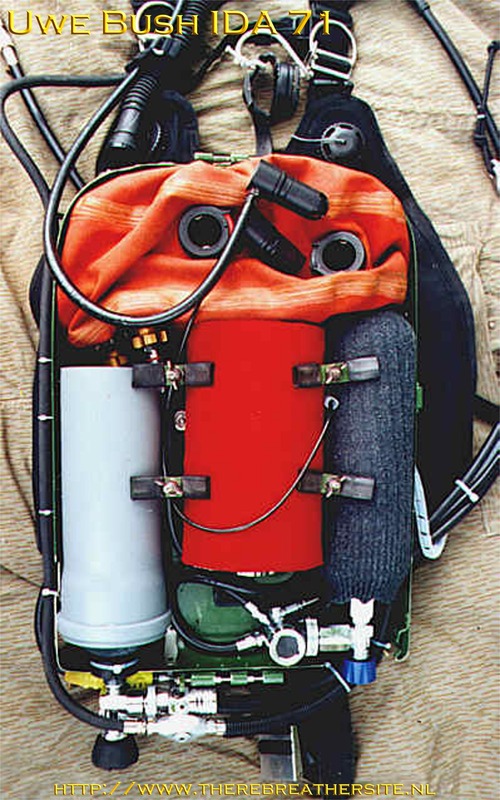 O2-diving is a fine thing, but I built in 01/2003 an SCR version from this rig. In the last days I also made a CCR version in Kiss Style (injection valve from Gordon Smith). But first I must try out it in the next weeks. Then I have a unit, that is easy to switch (but not underwater...) between the three working modes. 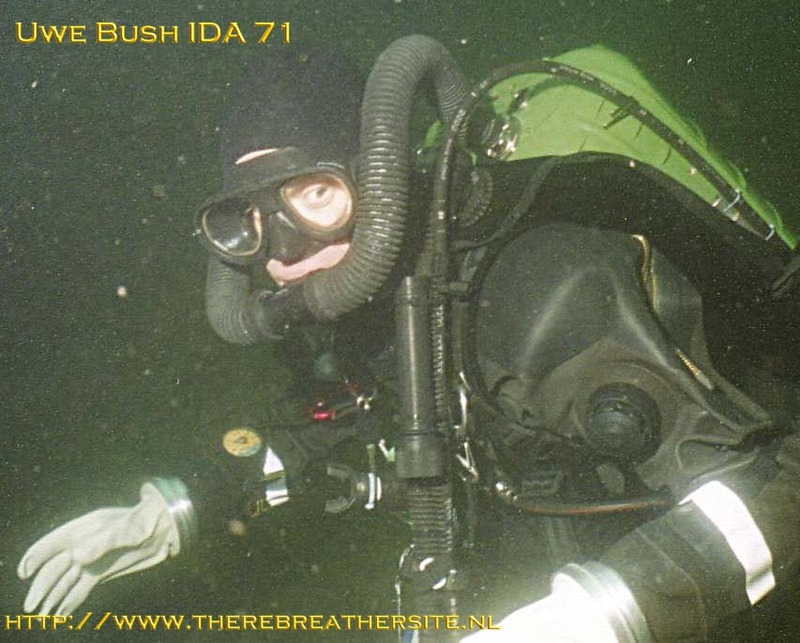 Uwe made a special homepage on his rebreather. 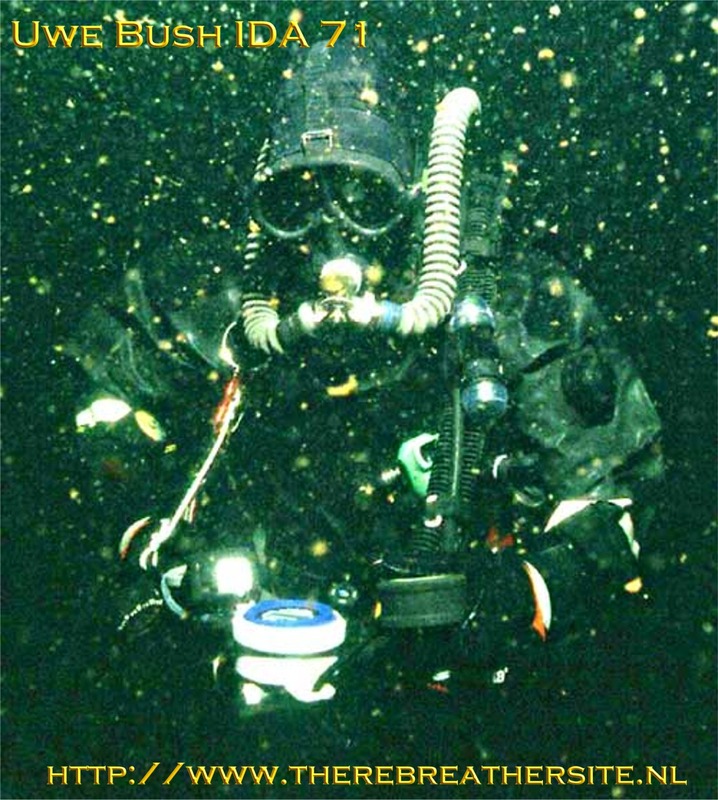 Please take a look at: http://www.rbdiver.onlinehome.de/ for more detailed information.